Besalol is a combined drug belonging to the group of antispasmodic and anticholinergic drugs. The drug affects the digestive tract and metabolism: it has antispasmodic and analgesic, as well as anti-inflammatory, antiseptic and hyposecretory effect. The drug Besalol is available in tablet form, 6 tablets per pack. phenyl salicylate (salol) - 300 mg.
Auxiliary components: stearic acid, lactose monohydrate, microcrystalline cellulose, croscarmellose sodium. Pharmacodynamics. Antispasmodic and mild analgesic effect of Besalol is due to the atropine alkaloids contained in the belladonna extract (scopolamine, hyoscyamine, atropine). These chemical compounds block the m-cholinergic receptors, thereby reducing the tone of the smooth muscles of the internal organs and inhibit the secretion of salivary, gastric and bronchial, lacrimal and sweat glands. They also have an antispasmodic effect on the smooth muscles of the bronchi, pancreas, gallbladder and bile ducts, urinary tract and bladder. Phenyl salicylate, which is part of the preparation, is cleaved in the alkaline environment of the intestine into phenol and salicylic acid. Phenol has an antiseptic effect, inhibiting pathogenic flora, and salicylic acid has anti-inflammatory properties. With prolonged use of phenyl salicylate does not cause the development of intestinal dysbiosis. Pharmacokinetics. The drug is well absorbed in the gastrointestinal tract. Alkaloids penetrate the blood-brain and placental barriers, are absorbed into breast milk. The drug is excreted by the kidneys. 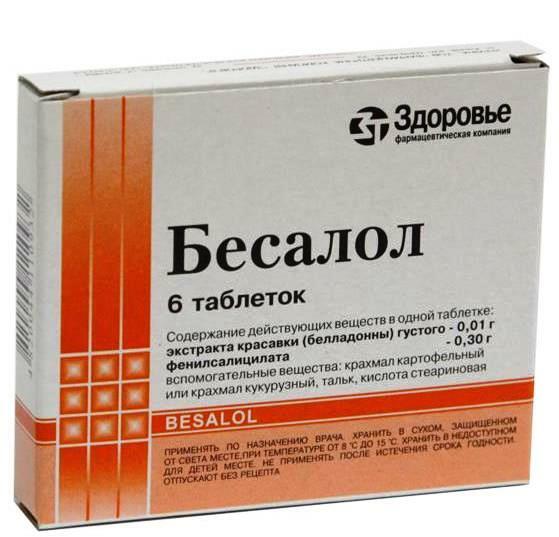 Besalol is prescribed for diseases of the gastrointestinal tract, accompanied by spasms (colitis, enterocolitis). individual intolerance of at least one of the main or auxiliary components of the drug, hypersensitivity to salicylates and other antirheumatic and anti-inflammatory drugs. Adults are prescribed 1 tablet 2-3 times a day. The maximum allowable daily dosage is 6 tablets Besalola. 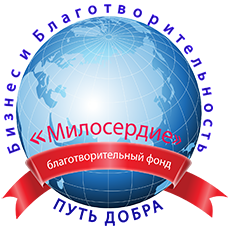 The duration of treatment is determined individually depending on the form and severity of the disease, the nature of the therapy (independent use of Besalol or as part of a complex treatment), and the effectiveness of treatment. With an overdose of besalol, dryness of the skin and mucous membranes, skin rash, thirst, dysphagia, increased psychomotor reactions and agitation, urinary retention, convulsions , intestinal atony are noted. When these symptoms appear, immediate withdrawal of the drug and symptomatic therapy are required. Specific antidotes are physostigmine or prozerin. about the use of Besalola in childhood clinical data are not available. the use of antacid and antidiarrheal drugs reduces the absorption of besalol. Gastric drops (tinctures of belladonna, valerian, peppermint, wormwood). The drug is stored in a dry, protected from sunlight and out of the reach of children, at a temperature of from 8 to 15 ° C. Shelf life is 4 years. Do not take pills after the expiration date printed on the package. Balsal tablets 6 pcs - from 45 rubles.